Focus your chi. 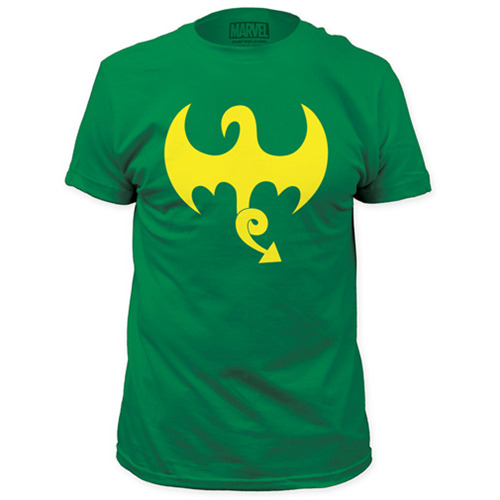 Danny Rand's very cool dragon logo for his alter-ego Iron Fist is front and center on this impossible-to-ignore The Invincible Iron Fist Dragon Logo Green T-Shirt. It comes in sizes S, M, L, XL, XXL, and XXXL.